Join Jennifer for an intimate 3 day immersive retreat at her home in Hendersonville, NC. This 3 day/2 night event will dive a bit deeper into hatha-raja yoga as a life enhancing practice enhanced by time in nature. 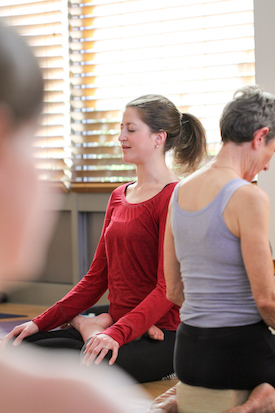 Put simply this is a time to reconnect with your practice in a way that moves through and beyond physical techniques into deeper contemplation and discussion. Basic ayurvedic meals and snacks included. Lodging available for 4-5 participants and for the rest airbnb or local lodging can be recommended. Schedule and pricing below.